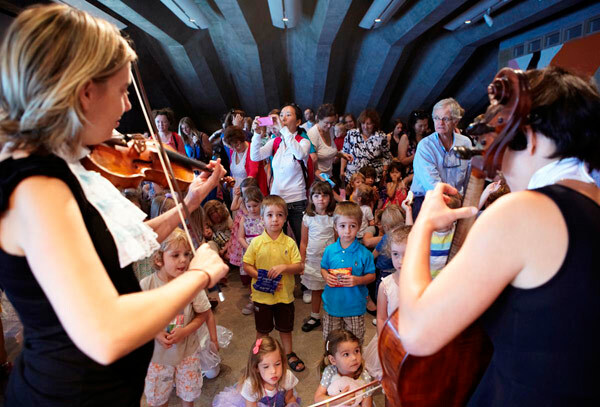 Introduce your little ones to the magic of traditional Christmas carols with the latest Babies Proms event at Sydney Opera House- The Little Drummer Boy. Let the Babies Proms Troupe of Travelling Players take toddlers and prechoolers on a musical journey to learn some of the most loved Christmas Carols of all – songs like Away in A Manger, We Three Kings, Little Drummer Boy and everyone’s favourite, We Wish You a Merry Christmas. Children will be invited to join in and play instruments of their own and to also get up close to the musicians as they introduce the young crowd to the sounds of orchestral instruments including piano, flute, violin, oboe and percussion. Directed by Bell Shakespeare’s James Evans, Babies Proms: The Little Drummer Boy is on now at the Sydney Opera House daily until December 21. The perfect introduction to live music for children aged between two and five years, tickets are priced from $25. Book via the Sydney Opera House.